Everything in Japan has a kawaii version, I guess. 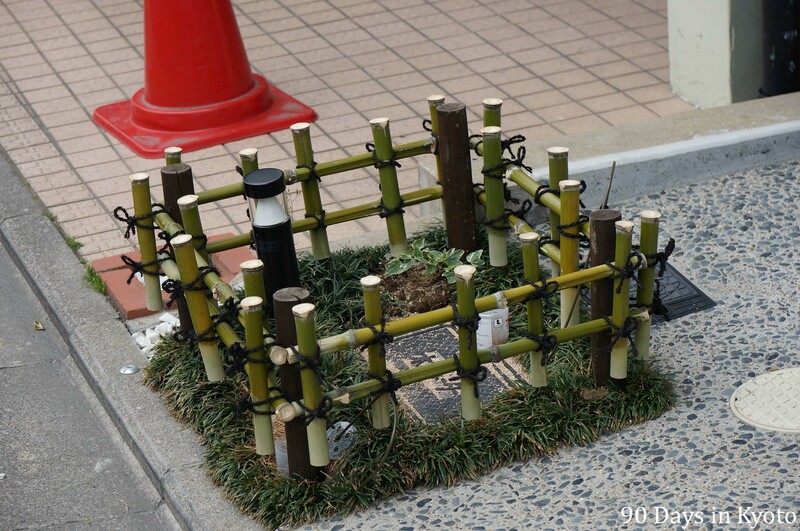 This is a miniature version of the popular Yotsume-gaki bamboo fence and it is used to mark a water faucet. I have to add this to our Real Japanese garden e-Book about bamboo fences.